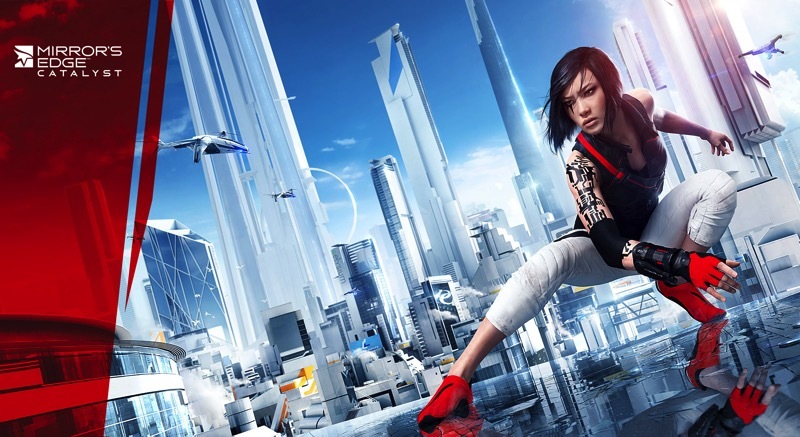 Following on from a leak yesterday, EA has admitted defeated and pre-emptively confirmed Mirror’s Edge Catalyst before the hustle and bustle of E3 next week. Faith is back in the highly anticipated reboot – which EA is making crystal clear is in no way a follow-up or direct sequel to the original title from a few years back. In fact, it might be a completely different game. Catalyst will embody the best parts of Mirror’s Edge, so there’s no cause for any early alarms in that regard just yet. Mirror’s Edge was sublime when it came to finding the perfect routes along your skyscraper escapades. It got it so right that even Dying Light only managed to just get close to it years later – and it’s easily the reason why the franchise maintained its cult following status. EA isn’t messing with that, but everything else is up for modification. That’s why developers DICE are looking at every aspect of the first title and either enhancing it or leaving it out in the cold. It’s why Catalyst isn’t being called a sequel by anyone over at EA. This is, in every respect, a reboot of the franchise you’ve either learnt to love or hate. We’ll probably get to see the game in action during EA’s press conference this coming Monday, as well as a suspected release date of Q1 2016. Mirror’s Edge Catalyst is coming to Xbox One, PS4 and PC.